William Henry Everette Cobble, 67, of Bloomfield, died Monday, Sept. 23, 2013, at his residence. He was born April 10, 1946, in Louisville, was a 32- year employee of Heaven Hill Distilleries, a member of Wakefield Baptist Church where he served as a Deacon, and Old Kentucky Home Chapter of Order of Eastern Star No. 436. 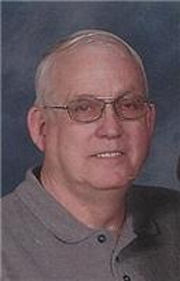 He was a Bloomfield City Councilman for 22 years and was instrumental in overseeing that every home and business had their address numbers posted and was a former member of the Old Bloomfield Tobacco Festival Committee. He was preceded in death by his parents, Jake and Violet Pollard Cobble. Survivors include his wife, Sandra Hahn Cobble; two sons, Robbie Cobble and Joey (Misty) Cobble, both of Bloomfield; two grandchildren, Mariah and Logan Cobble; four sisters, Patsy Hall and Betty Bray, both of Shepherdsville, Katie Crain, of Illinois, Greathel Faverau, of Florida; a brother, Larry Cobble, of Illinois, and his mother- and father-in-law, Robert and Dora Hahn. The funeral will be at noon Thursday, Sept. 26, at Houghlin Funeral Home with burial in Maple Grove Cemetery. Brother Tom Sparrow and Brother Leland Parks will officiate. Visitation will be 2-8 p.m. Wednesday, Sept. 25, at Houghlin Funeral Home. The family requests expressions of sympathy go the educational fund for Mariah and Logan Cobble, King Southern Bank, P.O. Box 510, Bloomfield, KY 40008. Houghlin Funeral Home is in charge of arrangements.